TIP #30: Make memories, don’t just photograph them. I know we all want to capture amazing pictures of our kids as they throw a snowball, or as they eat their first birthday cake, or while they learn to ride their bike. But be sure to be present when making memories with your family. Capture some moments with your camera and then put your camera down and be a part of the memory. Don’t allow your part of the experience to always be only behind the camera. Get down on the floor and play. Go throw a snowball. Take a few pictures here and there, but you want your kids to remember that you were part of the experience as well, right? Not that you were just there to document it. So be in it. In order to be a part of the experience you have to know your camera so you can be quick and move fast. So practice, practice, practice. Maybe even practice now and then when your kids aren’t there. Practice without wiggly little people. Learn how to use your manual settings well so you have control over lighting. Be content with shots of candid moments rather than making your kids constantly stop what they’re doing to look at you and say “cheese”. 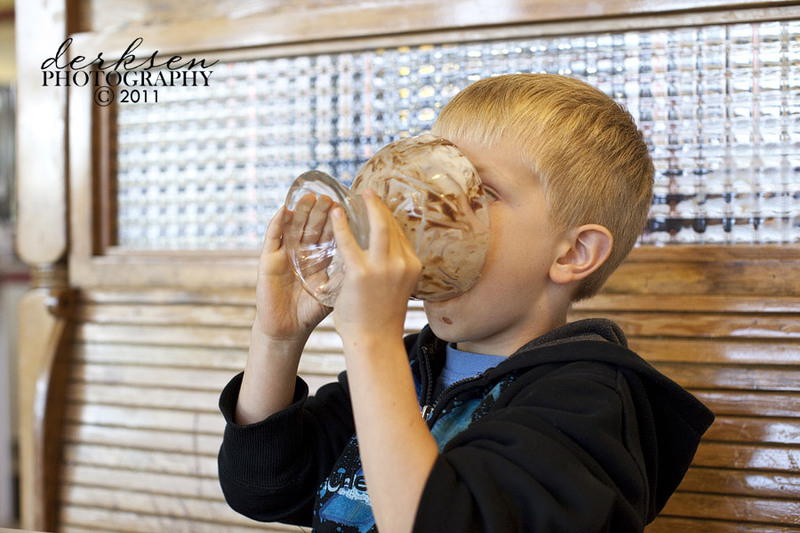 Here are a few shots from a special ice cream shop on our recent vacation. Cori I loved the 30 days of tips! So helpful and encouraging! Thank you for the 30 days of tips! I’ve looked forward to reading them each day. 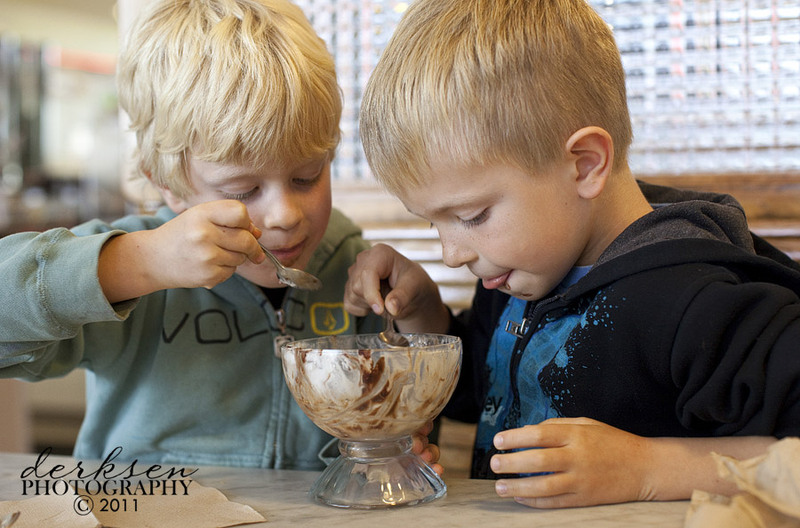 Also, I love the pictures of your boys eating ice cream! 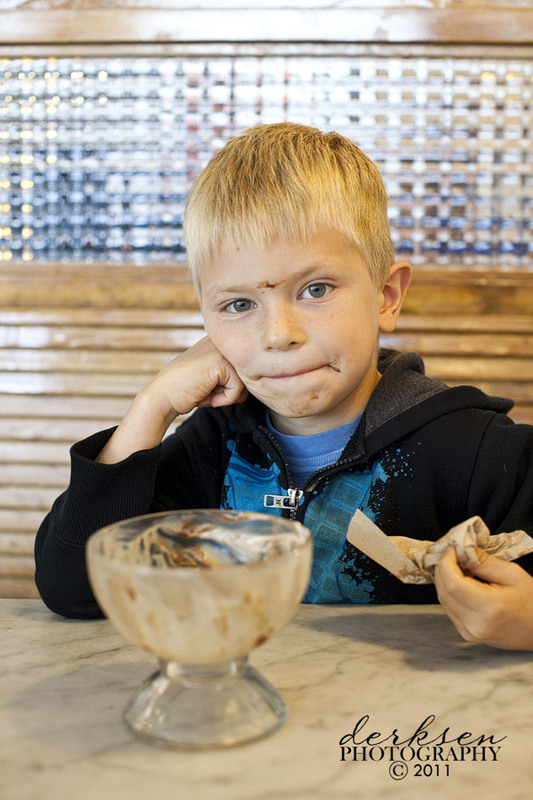 Love the chocolate on your sons face. Priceless!